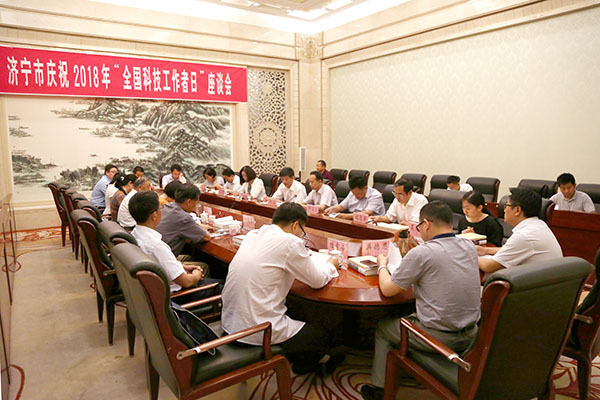 According to the Notice of the Chinese Association for Science and Technology and the Ministry of Science and Technology's "Notice on Launching the 2018 National Science and Technology Workers Day" Campaign and the Unified Deployment and Requirements of the Shandong Provincial Association for Science and Technology and the Shandong Provincial Science and Technology Department, the leaders of the Economic and Urban Industry approved the afternoon of May 29th. The city celebrated the 2018 National Science and Technology Workers Day forum held at the Canal Hotel. 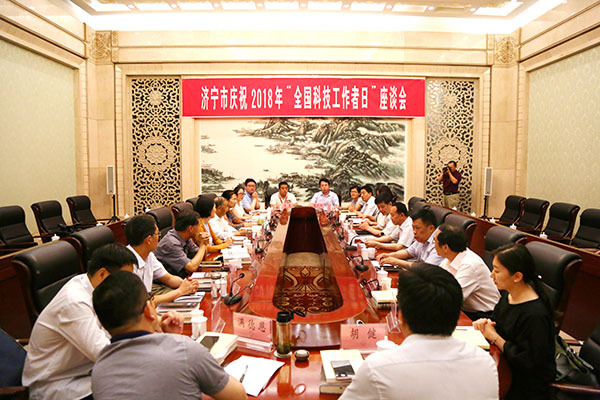 Jining City Association for Science and Technology Party Secretary and Chairman Ren Feng attended and made an important speech. 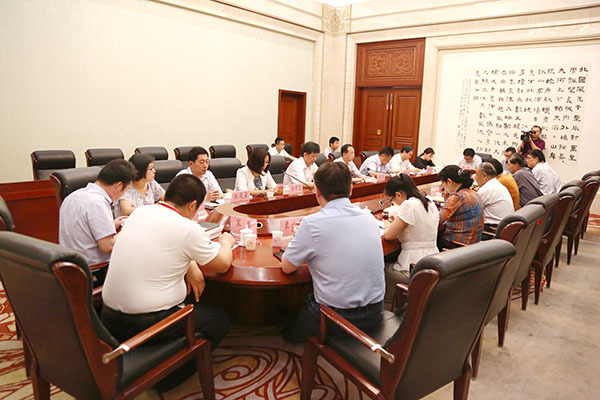 China Transport Co., Ltd. was the advanced unit of the Shandong Provincial Enterprise Science and Technology Association, and the advanced collective of Jining City's popular science work was invited. China Transport Association Vice President,Group Deputy General Manager Fan Peigong on behalf of the Group. 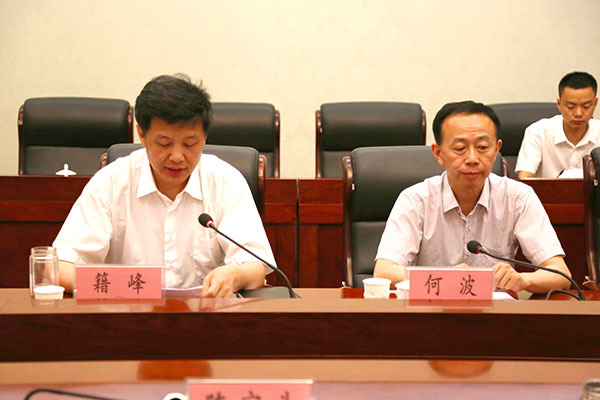 At the meeting, Jining City Association of Science and Technology Party members, Vice President Jin Yuxia first conveyed the spirit of the important speech delivered by General Secretary Xi Jinping at the 19th Academician Meeting of the Chinese Academy of Sciences and the 14th Academician Meeting of the Chinese Academy of Engineering. Then, the meeting focused on “deep learning”. In the new era of Xi Jinping's socialist ideology with Chinese characteristics and the Party's spirit of the Nineteenth Congress, the spirit of scientists was promoted, and the transformation of old and new kinetic energy was promoted, and the subject of the pioneer of scientific and technological innovation in the new era was the subject. 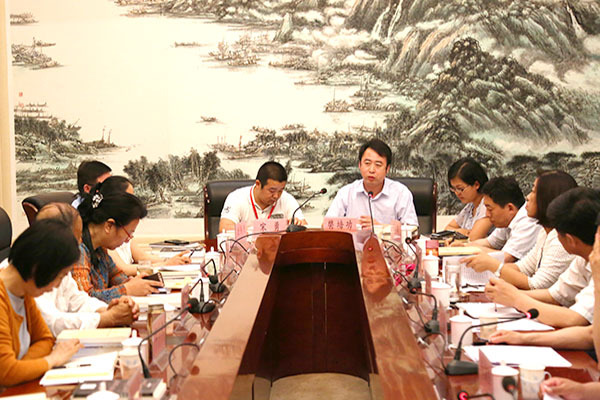 The representatives of scientific and technological workers in Jining City made keynote speeches in turn. China Transport Association Vice President,Group Deputy General Manager Fan Peigong spoke on behalf of the China Coal Industry Association. General Fan said that in recent years, China Coal actively promoted the deep integration and innovation of enterprise information and industrialization, vigorously developed the industrial supply chain e-commerce, and successfully transformed from a traditional sales model to a modern e-commerce sales model, becoming the national e-commerce information industry. An industry model that promotes the successful transformation of traditional enterprises. As a large-scale intelligent manufacturing company, China Transport also actively responded to the national “popular entrepreneurial innovation” call, accelerating the transformation of old and new kinetic energy, improving the level of integration of the manufacturing industry and the Internet, quickly promote the industrial transformation and upgrading, through the introduction of foreign robot advanced technology concepts, The development of high-end intelligent products suitable for China has greatly stimulated the rapid development of the intelligent terminal industry in Shandong Province. 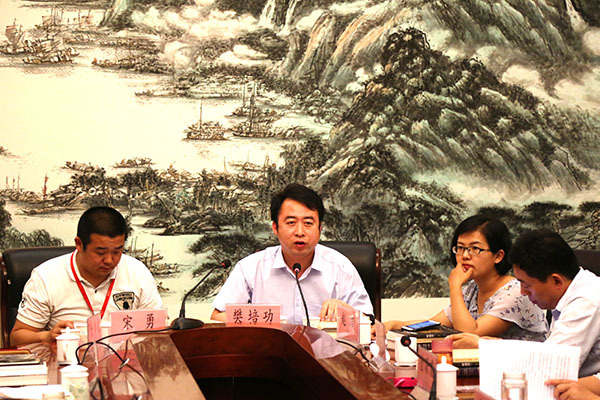 In December 2017, China Transport established the China Coal Industry Intelligence Research Institute, and the Science and Technology Association of Jining City served as the business unit. This signifies that China Coal has entered a new stage of development in the field of industrial intelligence. At the same time, the China Transport vigorously strengthened the introduction of scientific and technological talents, helped the conversion of new and old kinetic energy to drive innovation, and established the Shandong China Coal Songyuan Information Technology Co., Ltd. with China Science Association Haizhi Expert,University of London Professor Yan Songyuan The company fully demonstrated Professor Yan Songyuan. As the backbone of the world’s leading experts in the field of information technology security and the advantages of China Coal’s platform in the field of big data and cloud computing, it actively introduces overseas high-level scientific and technological talents and actively explores many fields such as big data, cloud computing, and information security. , Together to contribute to the innovation and development of industrial enterprises across the country!